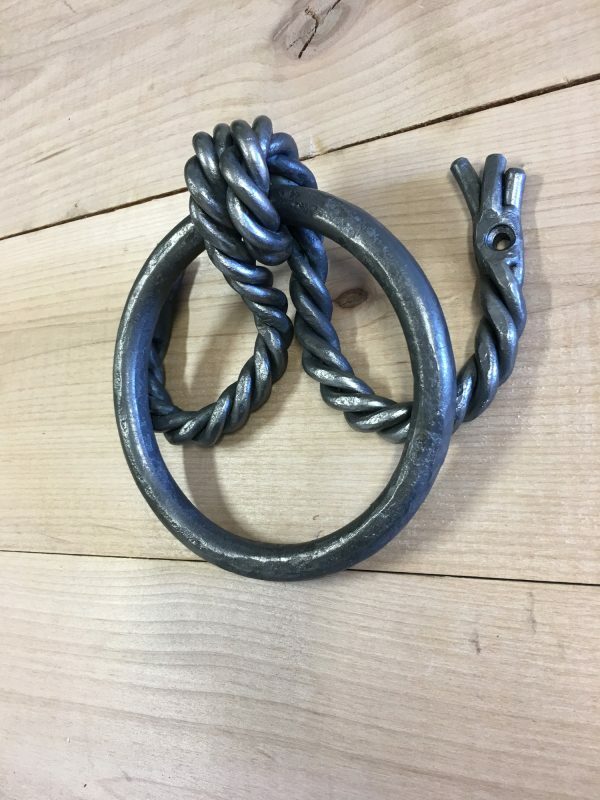 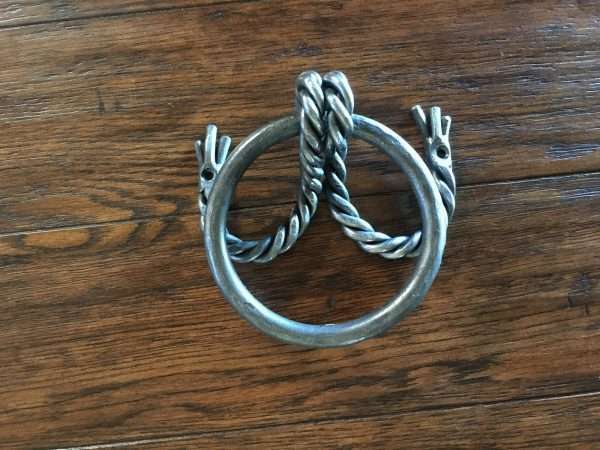 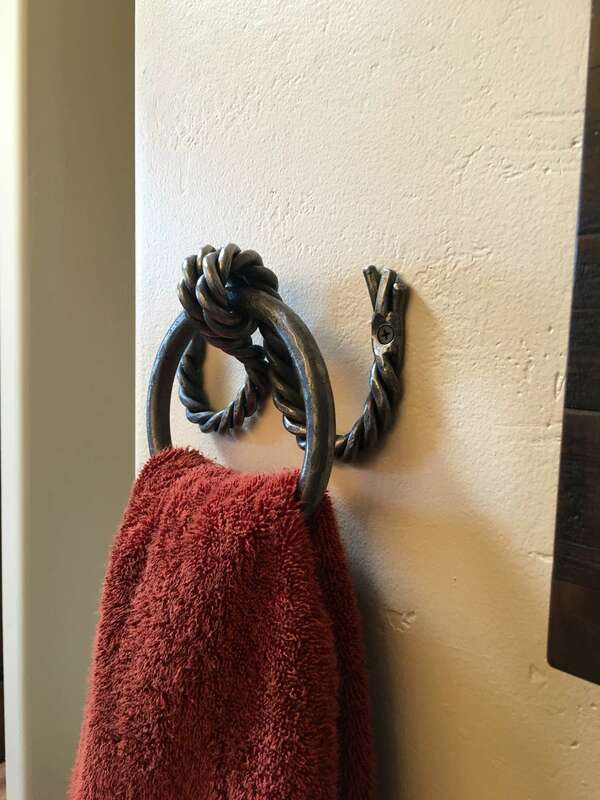 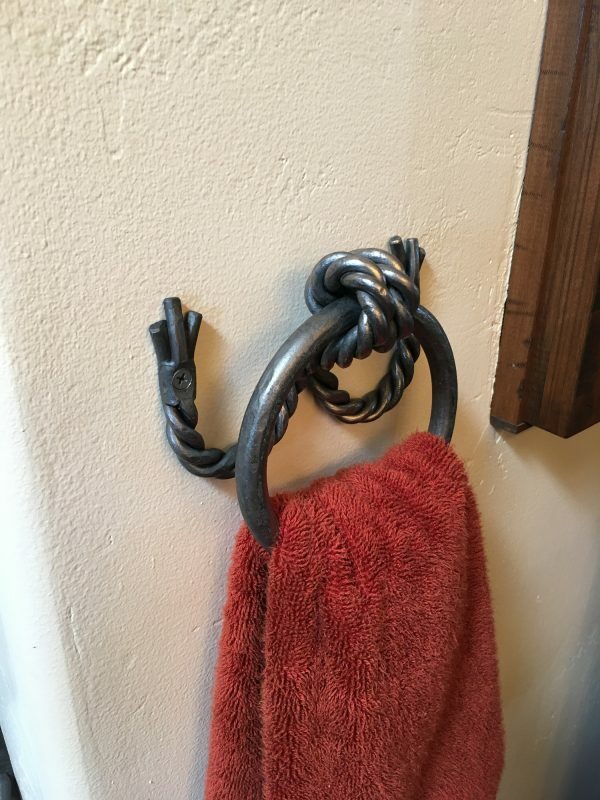 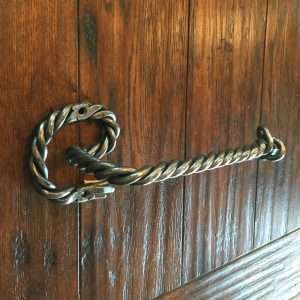 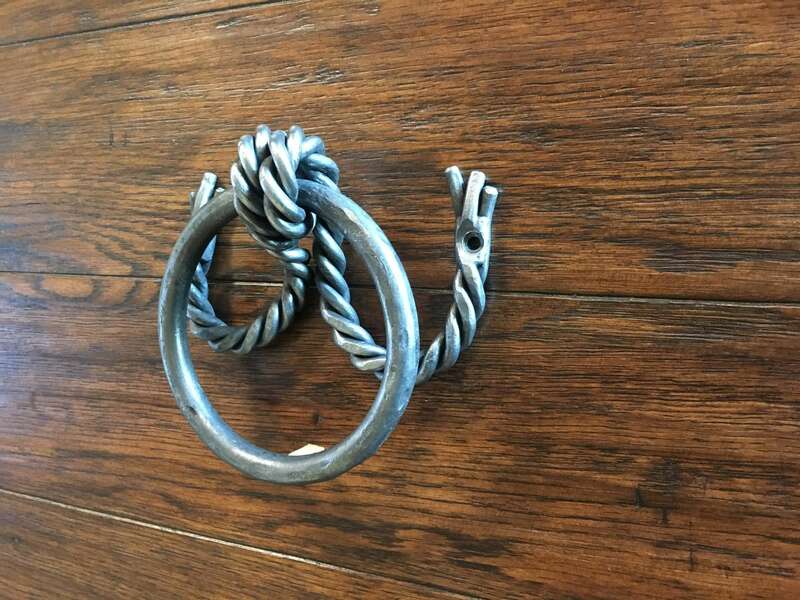 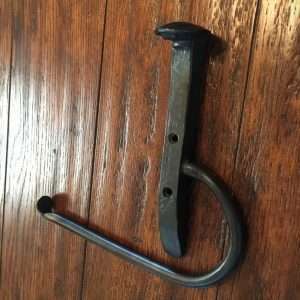 Hand forged twisted rope towel ring. 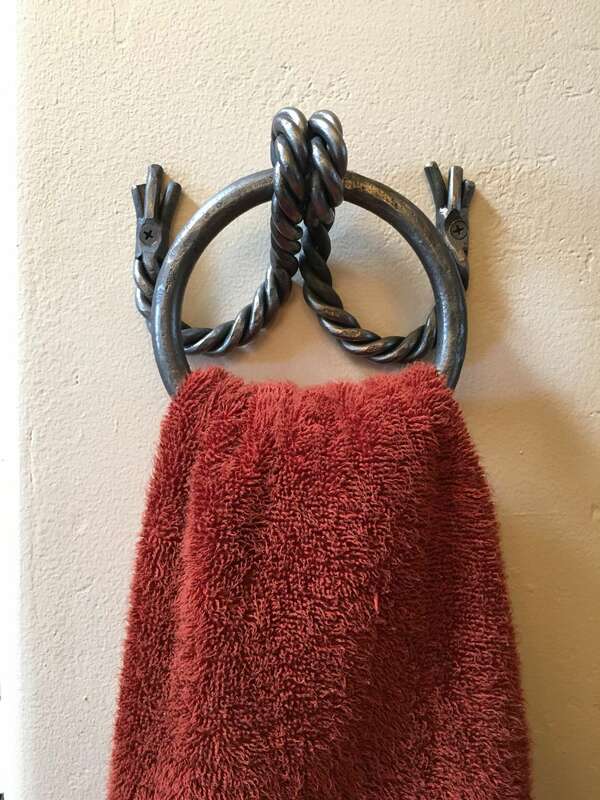 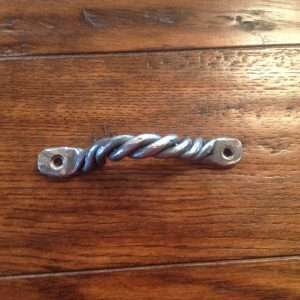 4″ Iron Towel Ring swivels for towel placement. 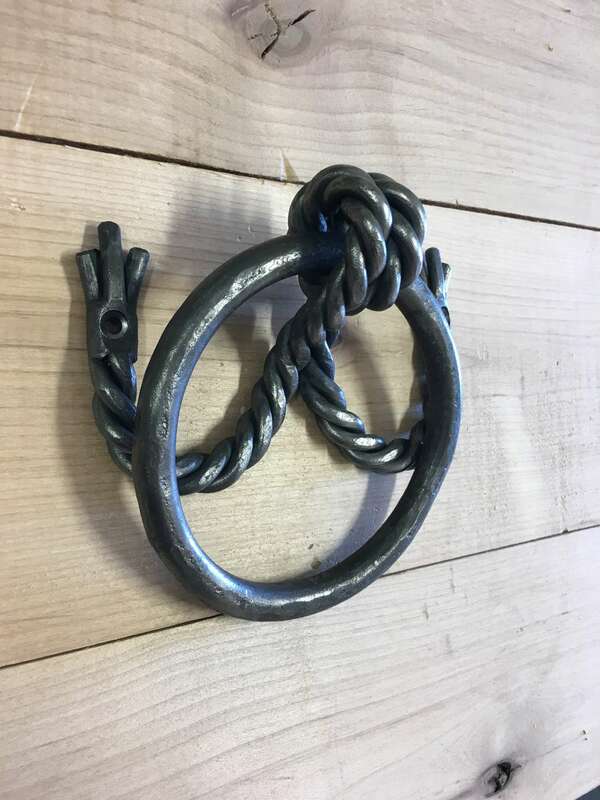 Towel Ring is straight out of the forge and lightly brushed to leave a nicely rounded and antique looking. This wrought iron decor can fit nicely in a western or nautical theme. 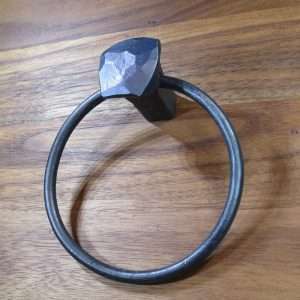 Overall dimensions are 6″ x 6″ x 2.5″ with 4″ diameter ring.